It’s hard to ignore the signs that fall has arrived. Football season has kicked off, the kids are back in school, and the trees are ablaze with yellow and orange. The approach of the fourth quarter on October 1 is a great time to take a close look at aspects of your finances that you may not consider on a daily basis. 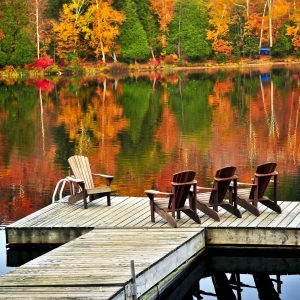 Here are five financial tips for fall. 1. Get a head start on year-end tax preparation. Review your withholdings and make any necessary adjustments or fourth quarter estimated tax payments. Note any education-related tax benefits and don’t forget to hand on to receipts for school supplies. Maximize retirement contributions. For more information, read our recent post, 3 Keys to Mid-Year Retirement Planning Checkup. 2. Check your Flexible Spending Account Balance. Take a look at the amount available in your Flexible Spending Account and determine any upcoming qualifying medical expenses. Because your balance cannot roll over to the next calendar year, you may need to plan for additional spending. This is also a good time to start thinking about next year’s contributions and expenses and if you should make any adjustments to the amount you contribute. 3. Evaluate your insurance coverage. It’s a good idea to review your health, life, homeowners, and auto insurance once a year. Are your current coverage plans working for you? Do you anticipate any changes in the next calendar year? Now may be an excellent time to sit down with your insurance provider(s) to determine whether any changes are needed. 4. Review budgets for the remainder of the year. Has your spending fallen in line with what you planned for the year? Do you have enough emergency funds set aside? Did you have any unexpected expenses? Do you need to adjust your holiday spending? You can start looking ahead to next year’s budget and make modifications based on your findings. 5. Schedule an appointment with us. We’re committed to helping you build a solid foundation for your financial future with customized tools and solutions. We offer a wide range of personal and business services. Schedule an appointment to review the year and look ahead to the next. Happy Labor Day from your friends at Ramsay & Associates, Ltd.! We hope your day is filled with rest and relaxation in the company of family & friends.